The Varnished Culture saw Fleetwood Mac last night, at Hindmarsh Stadium aka Cooper’s Stadium*. These ancient rockers sound magnificent and look marvellous, although the ravages of time, travel, art and their relationships show, especially if you are lucky enough, as we were, to have tickets that get you stalker-close to the stage. The by-play between them, borne of decades of love, hate, and indifference, gave joy to the dedicated audience, some of whom have been party to these shenanigans for their whole lives. We had seen the group a few years ago but this was our first time with the original line-up, Christine McVie having returned from a long sabbatical. 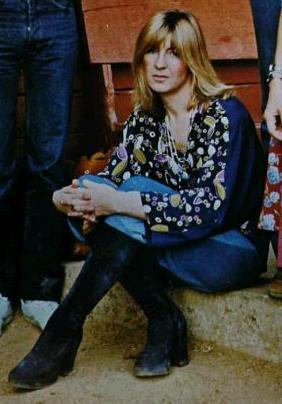 Her presence is vital because the group’s pantheon of hits is enhanced by the variety of lead vocals, and McVie offered lovely versions of the hardy perennials You Make Loving Fun, Say You Love Me, Think About Me, Little Lies, the show-stopping Don’t Stop, and a quiet piano-and-guitar Songbird to close the show. Fleetwood is like some bug-eyed nibelung and when warmed-up, which he was almost immediately, he had the auditorium quaking, especially on his bizarre solo for World Turning and a white-noise, smoking version of Tusk. They have overcome the compositional and structural problems of Tusk, and made a weird asset of it. John McVie did his impersonation of Bill Wyman as usual, but his solid bass underpinned most of the show. Lindsay Buckingham clearly enjoys himself and we had a pretty good time too, as he led the way on The Chain, Second Hand News, a fiery acoustic Big Love and the blasting Go Your Own Way. We add, for the sake of full reportage, that several ladies in the crowd, and possibly some gentlemen, seemed to want to invade his personal space (but in a nice way). And then of course, last but not least, is little Miss Stephanie. 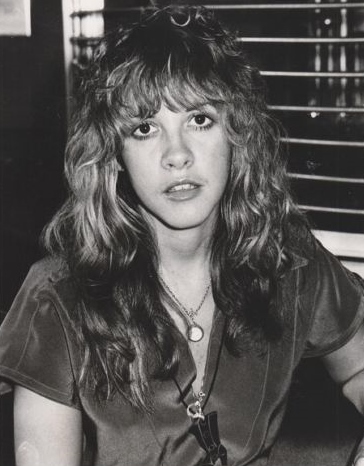 We will leave a full description of the Stevie Nicks experience to Lesley’s Annabel Lee blog, but here will say that, incredibly, the voice still soars even if the frame does not. Sublime versions of Dreams, Rhiannon, Sara, and Gypsy, had the crowd swaying, as did a power duet with Buckingham on Never Going Back Again. The shock was that she didn’t do Landslide! Just kidding. Of course she did, and beautifully. A totally professional and enjoyable tour de force by a genuine supergroup, on a perfect spring night, full moon and all. The rumours are true: a once-dysfunctional family is now repaired, revived, hearty, and happy. Would love to have heard Tusk reworked but I think the consensus is that it should be played "in its entirety, with the pauses, as Lindsay Buckingham intended it to be heard”.